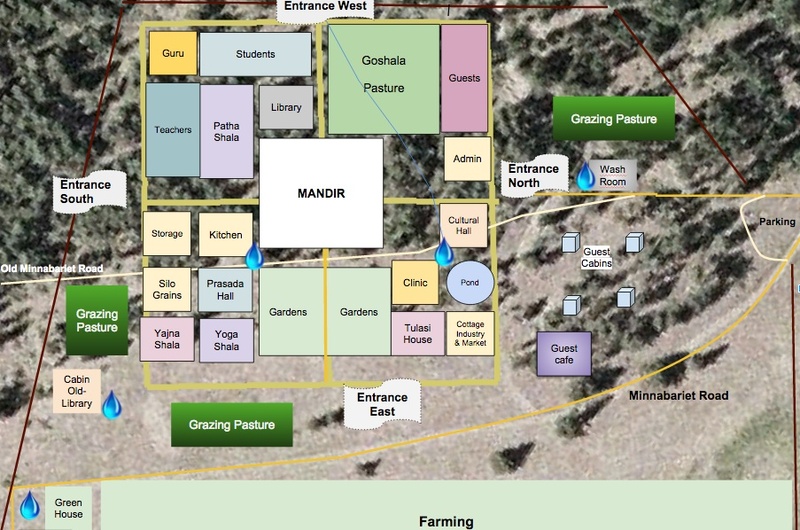 The Gurukula Colony centre will be a large area of 44 square meters for the Mandir (temple compound) that will be the focus of all activities. The Gurukula Colony will also have a ring road that circumambulates the inside border of the colony measuring 2 dandas (4 meters or 12 feet) connecting to the two Raja Margs. The Gurukula Colony is divided into 36 plots of equal size (18 meters by 18 meters) where different activities will take place. In keeping with the principles of Vastu the colony will have two Raja Margas (main roads) that run East-West and North-South each measuring 4 dandas (8 meters or 24 feet). Within each quadrant will be 9 plots. 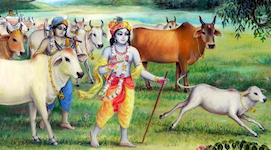 The Gurukula will provide primarily brahmana and ksatriya training but will also accommodate other areas of service. The area selected for the colony is in the most southwest section leaving ample space for other activities to the north and east. Activities and purposes have all been allocated to specific plots based on Vastu principles. 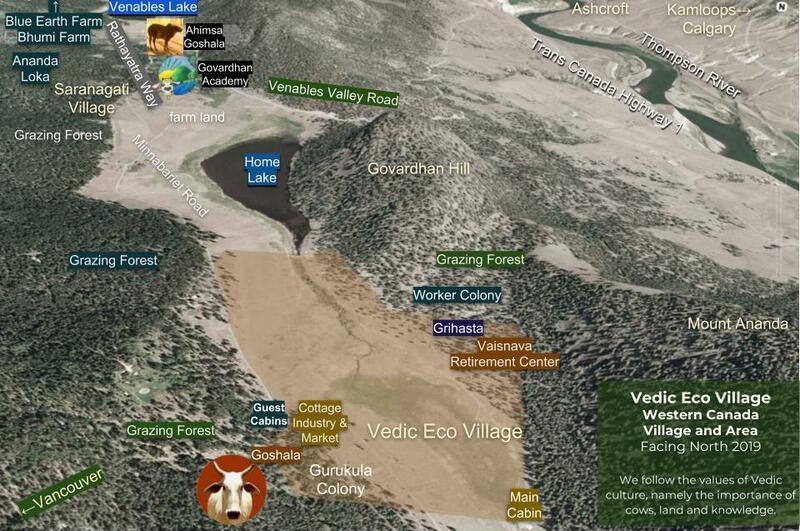 This forms the basis of the Master Plan to gradually manifest the Vedic Eco Village. We have begun implementing certain aspects of the master plan starting with infrastructure: water, roads, gardens and living facilities. 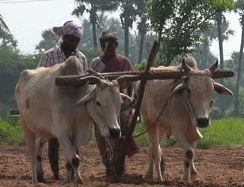 We are located south of Saranagati Village in Western Canada. 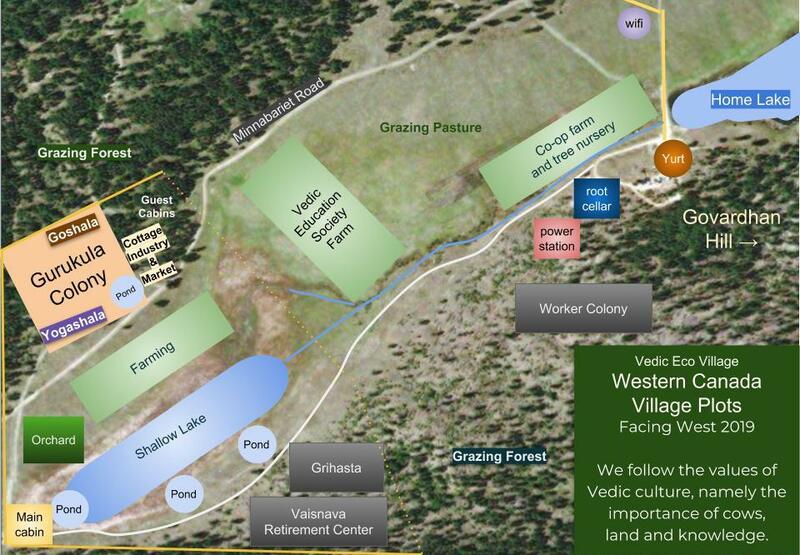 The Eco Village covers 70 acres (30 Hectares) of land including farm fields and forest hills in a remote mountain valley.